Should you find yourself in San Francisco TODAY August 4th, be sure to stop in to illustrator Karla Ortiz's solo exhibition at Spoke-Art. Opening reception will be held from 6 pm-10 pm. 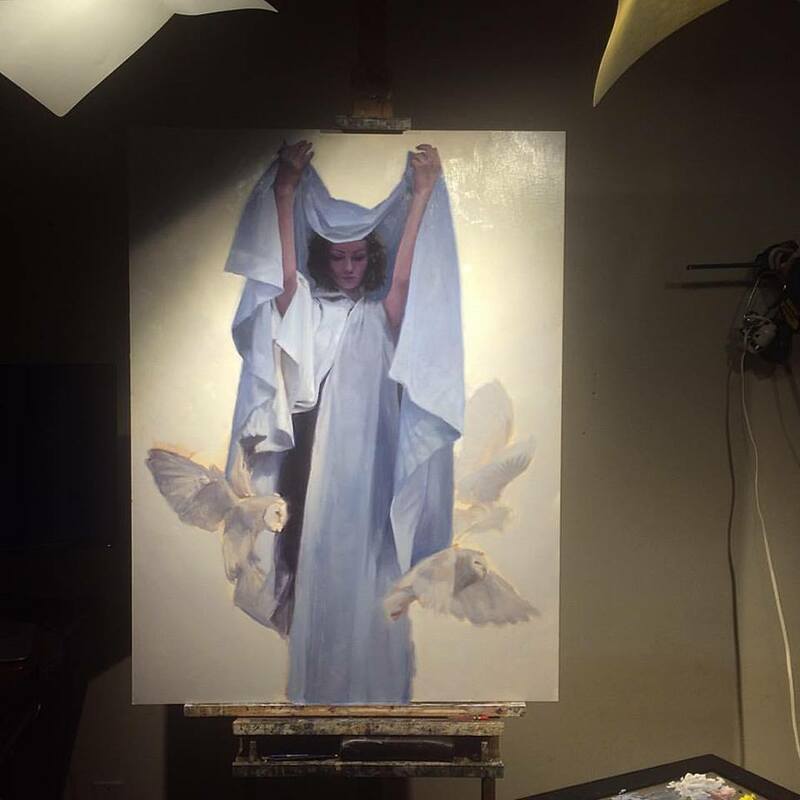 Karla has been working non-stop elaborating on her body of work which, as you will see, combines her amazing technique, otherworldly ambiance, and whose subjects are shroud in mystery and full of intrigue. 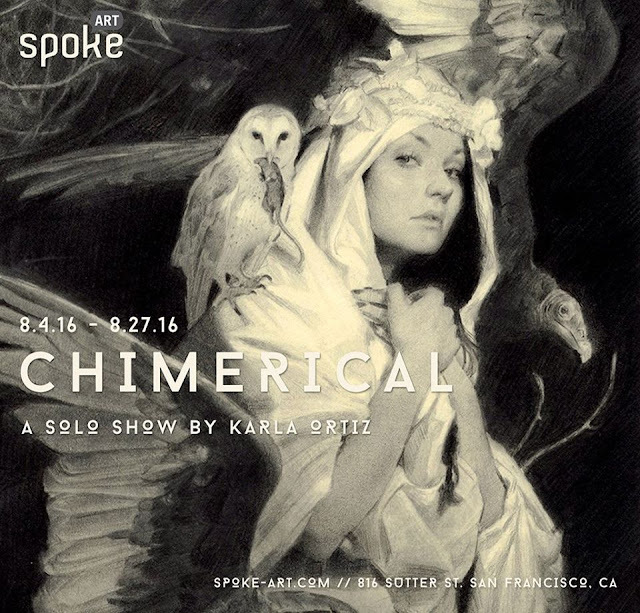 Her dark and captivating images are sure to make 'Chimerical' a MUST-see for all San Francisco creatives. To read more about Spoke-Art's Recent studio visit in anticipation for this show here...but if you're lucky enough to walk in, make sure you don't miss this event!